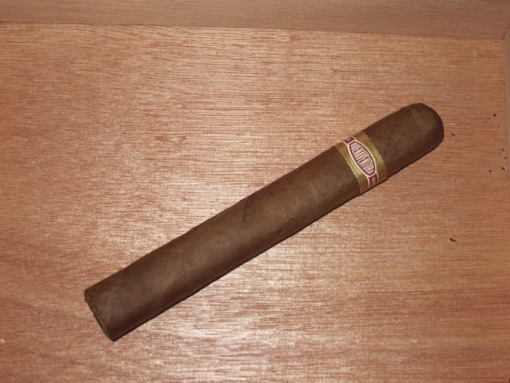 When I’m asked about cigars that provide bang for the buck, I frequently cite Buenaventura by Curivari, a Nicaraguan puro that can be picked up for around $40 for a box of 10. That approachable price would seem to make the blend an unlikely candidate for a mixed-filler version, but here it is: Buenaventura Picadores, featuring the same blend and selling for $30 or less a box. The flavors are similar to the original long-filler version: medium-bodied with coffee, woody spice, and light earth. There are some indications of the use of picadura (scrap cuttings) tobaccos in the construction, including lumpiness under the wrapper, a flaky ash, a wavy burn line, and a little bit of loose tobacco after clipping the head. Given the reasonably-priced original version, I’d probably save the Picadores version for the golf course or mowing the lawn (if I had one). But its hard to argue with the solid flavors this cigar produces for the price.